They were born with the name...now they gotta earn the fame! 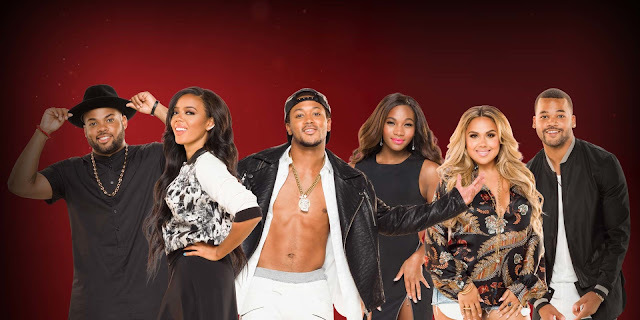 weTV's new series, Growing Up Hip Hop, chronicles the lives of hip hop royalty: Romeo Miller (son of Master P), Angela Simmons (daughter of Rev Run), Kristinia DeBarge (daughter of James DeBarge), Egypt Criss (daughter of Pepa of Salt-n-Pepa), TJ Mizell (son of Jam Master Jay), and Boogie Dash (son of Damon Dash). These six young adults are busy making their own individual empires, not wanting to rely on their parents' names to make it! The first episode of the six-part series gave us a sneak peek into each of their lives, who they are and what they do. From the looks of things, it's definitely going to be an interesting show! One night, Romeo turns up at the club with his friends, just having a good night to have fun. The next day, however, his father calls him into his office to talk. 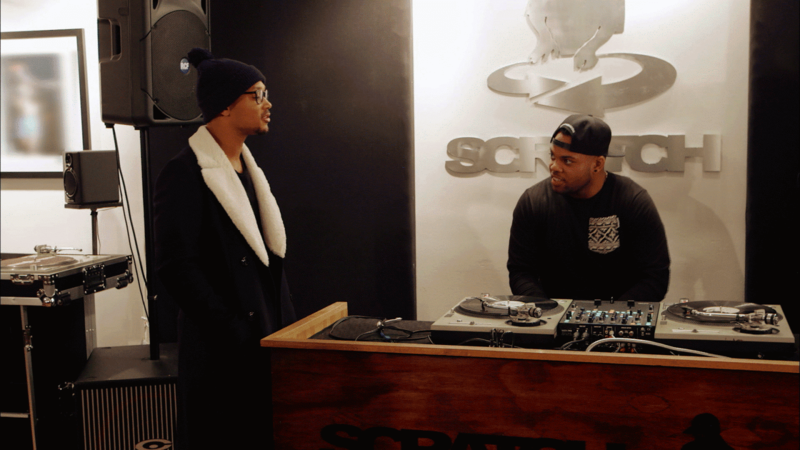 Master P tells him that Romeo needs to be careful and keep his security tight, with Master P reflecting on his own rough experiences as he was coming up with Romeo by his side. Master P also wants Romeo to take over No Limit Records. However, Romeo is a little nervous about it and feels like he should focus on music. His father pushes him, telling Romeo that he has been getting prepared for this his entire life. With all of this on his plate, Romeo will have to get focused and make sacrifices where necessary. Meanwhile, we see Angela, who wants to be her own person, and is making a name for herself in fashion. She shoots a look book for her own faux fur line, Foofi. She plans to host a show in New York debuting the line as well. We find out later that she and Romeo have a little chemistry, and he plans to come to the show! 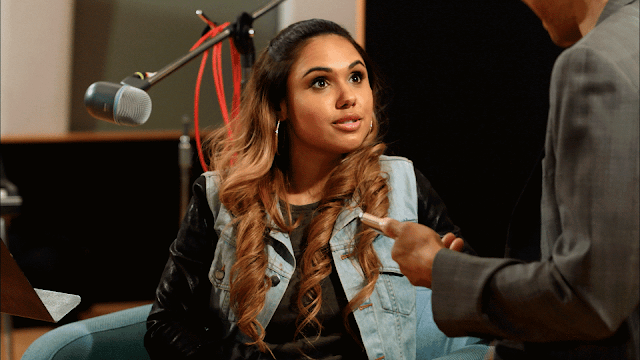 Later, Kristinia is seen in the studio putting in work. Though she has had a good deal of success in pop music some years back, she's focused on creating a new image for her that reflects who she is now. Her uncle, El DeBarge, comes to see her and listens to her potential first single. They begin talking about her father James, who is in prison now for drug charges. Kristinia hasn't seen or talked to him really in four years, and she wants to. El tells her that she can't go see him, because he doesn't want her to see him handcuffed and behind bars. He tells her to trust him on this, which she does. In New York, Angela is stressing with her stylist Kanayo about her show, which is three days away. As they sit in her hotel room, Angela gets a random box delivered to her, and it's a dirty teddy bear with a creepy note saying that the person is in town and wants to go out with her! She thinks it's a joke and laughs, but has no idea who would do that! SCARY. Meanwhile, Romeo is in NY too, and goes out with his girlfriend, Toneata. Because she's white, people comment negatively on their interracial relationship. Romeo gets emotional, because he's been judged his entire life. However, he tells her that he has tough skin, and she has to too if they want to be together. The next day, Angela has a meeting about the show, when Romeo comes in. He reveals that he flew his girlfriend out here, and asks Angela to check her out, kind of give her the rundown or whatever to see if she's good for Romeo. He even makes a comment that he wants Angela to make Toneata like her! What?! Why would you want to be with someone and make her like another girl? Clearly, he's harboring some feelings. That night, Boogie has an event at his art studio, and Angela and Romeo come through. Pepa comes in with her daughter, Egypt, who wants to create her own legacy in music. 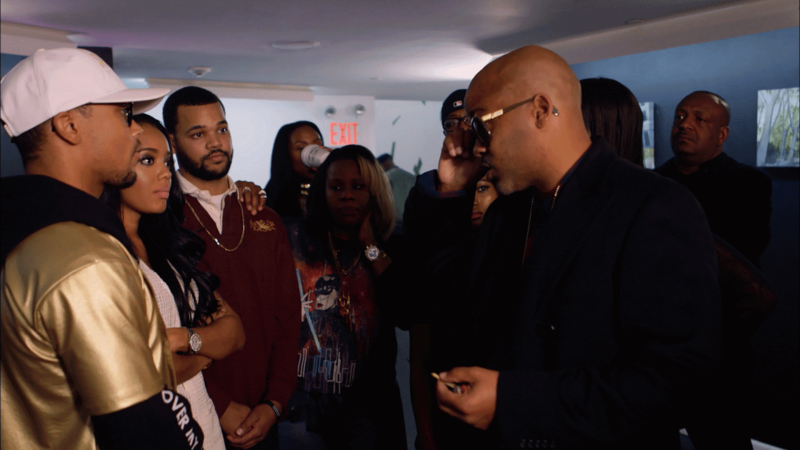 Boogie's father, Damon Dash, advises them all to come together to work and not be so competitive. When Angela talks about her event, and the stress of planning everything, Damon calls her stress "cute," trying to belittle her issues. Pepa agrees. They come from a rougher time, which is all well and good. We get it. However, it's not their place to try to tell Angela how she should feel. Back in LA, Kristinia spends time with her mother Christine and her aunt Lisa. She wants to talk to them about her dad before heading to New York to perform for Angela's fashion show. She hasn't talked to her father in so long, and is ashamed of herself for that. They tell her that whatever happens to her father, it isn't her fault. He made his own choice, and Kristinia distanced herself for a while. However, now she realizes that she needs to find out what's going on with him. The next day, Angela vents to Romeo about how Dame went off on her. She felt attacked, because this show is a huge thing for her and her career. Romeo is understanding, and the two of them flirt a little more, and even come up with a secret handshake! I'm interested to see where this will go! Meanwhile, Boogie goes to see his father as Dame gets tattooed. Boogie mentions that Angela was a little upset about what Damon said, but Boogie thinks he was telling her the hard truth. Meanwhile, Angela meets with Run for lunch. They talk about guys, and, of course, about the dirty teddy bear. Run is disturbed, telling her that if this person knows how to find her address, he knows how to find out where she's going. He suggests that she should also maybe consider cancelling her show, but Angela refuses. However, Run then tells her to have security with her, which she agrees to. Later, Romeo goes to see TJ Mizell, who has gone on to be a great upcoming DJ like his dad. TJ asks Romeo about Angela and her love life, and Romeo tells him that she's too busy to entertain it. The two of them decide that they have to get her out there so she finds love. Romeo knows good and well he wants her to find love with him! The cameras flash over to Kristinia, who is packing to head to NY. She admits that she used to have a little crush on Romeo, and now she's a little giddy about seeing him. At that moment, Kristinia gets a text from her uncle El, who has news about her father, and wants to meet at the studio to talk. Of course, Kristinia is scared that something has happened. She needs to go to New York, but she wants to find out about her dad. Kristinia tries calling Angela to tell her, but Angela misses the call. That night, the crew parties for TJ's birthday. However, when Angela believes her stalker has shown up, she goes straight to the car and leaves! I definitely think this is an interesting show, and can't wait to see more! Be sure to watch all new episodes of Growing Up Hip Hop at 10 p.m only weTV, and let us know what you thought of the series premiere!